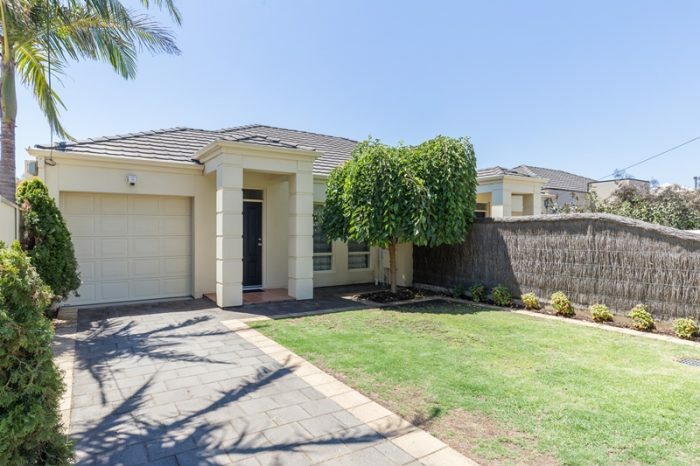 A perfect home for an easy lifestyle – this 3 bedroom, 2 bathroom courtyard home offers the perfect accommodation to suit a downsizer, first home buyer or young family. 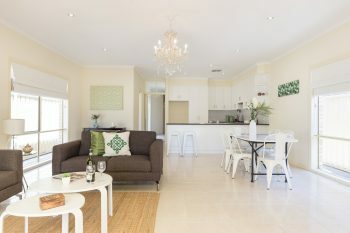 Located approximately one kilometre from the magnificent beach, this is a prime location and offers affordable buying for Henley Beach. The home is modern, clean and tidy throughout and ready to move into. Entering the home, the master bedroom suite is located at the front and offers a walk in robe and ensuite. There are two further bedrooms, one with a built in robe, plus there is a 3 way split bathroom with separate w.c that easily services these two bedrooms. There is also a separate laundry. To the rear of the home is the large open plan kitchen/family/living room – light, airy and spacious with patio doors leading to the alfresco area. The kitchen offers stainless steel appliance, dishwasher and a pantry. Ducted reverse cycle air conditioning keeps the entire home comfortable year round and there is a security alarm for peace of mind. At the rear of the home is an easily managed garden including a large pergola/patio area and private, enclosed lawn and garden beds with a new automatic watering system. A single garage with electric door provides secure parking for one car plus there is room for an additional car to park in the driveway. Quality medical facilities nearby including Western Hospital, GP Clinic and Specialist Centre in addition to local shopping, transport, schools and parks. 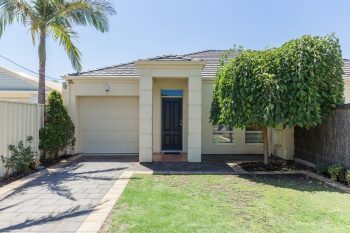 To arrange an inspection, please call Nick or Greg on 08 8235 2333.